Officially announced. More details on August 24th. It's indeed a new design. Metal Build figures are always a new design for the sake of having a new design to sell a toy. This has nothing to do with the movies. TMBounty_Hunter wrote: Metal Build figures are always a new design for the sake of having a new design to sell a toy. This has nothing to do with the movies. Looks like it has a lot of small fiddly bits that would be easy to break. Definitely not a figure for me. Seems to me that it's kind of "pro-doujin-in-sculptural-form", with the pro in this case being Yamashita himself. 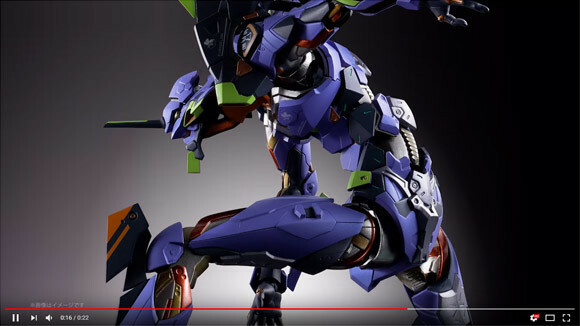 I'm thinking it's been a while since I bought an Eva figure, so I'm about due. I just wish it were in the 12 inch height range instead of the 8 inch range. The size issue risks breaking the deal for me. It's only about the size of my MG Hyaku Shiki. At least it's bigger than a Revoltech, though. Torso reminds me a little of these designs from a doujin by Chocolate Shop.